Now in its second year, Future Communicators Accelerator (FCA), will take place in February 2019 with a focus on communications for startups. 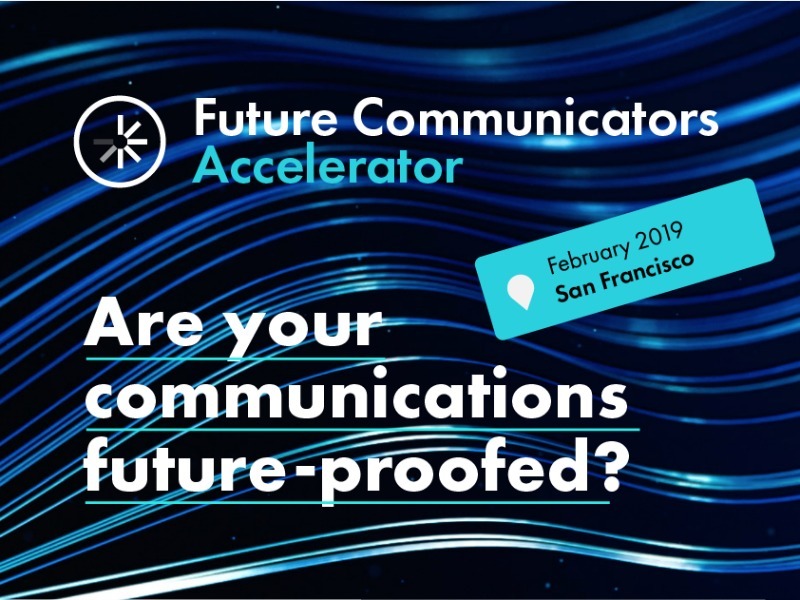 SAN FRANCISCO — Future Communicators Accelerator, a consortium of media and marketing specialists, is bringing its training event to San Francisco in its second year. The two-day interactive event, to be held at Galvanize campus, takes place on February 6 and 7 will bring market leaders from across the world share global expertise, insights and best practices in communications and for startups. The event will be chaired by Gabriela Lungu, founder of WINGS Creative Leadership Lab and award-winning creative director with more than 20 years experience. Delegates will be mentored in the areas of: international strategies; leadership and business skills; and personal development. The flagship FCA program, held in London last year, was awarded a certificate of excellence at the EMEA SABRE Awards. Speakers this year include: Hotwire CEO Barbara Bates, IBM's Sarah Storelli, WE's Chief Strategy officer, Katie Huang ShinFowler International CEO Gary Fowler, Highwire's Ross Levanto, the Holmes Report's Aarti Shah, among others. Lungu said: "I look forward to meeting the driven, high-potential people for whom the FCA is a platform to become the game-changers of our industry. When communicators become braver leaders we see many things changing for the better, starting with the work itself." Natalia Bucelnikova, managing partner of FCA, added: "We are delighted to have secured world-class speakers to help us deliver this unique accelerator." Applications to FCA are welcomed from individuals with: at least five years experience in PR and marketing; a hunger to move into a top managerial role; CEOs and managers of startups; and individual consultants. A 10% discount is being offered to Holmes Report readers with the code: SF3610.